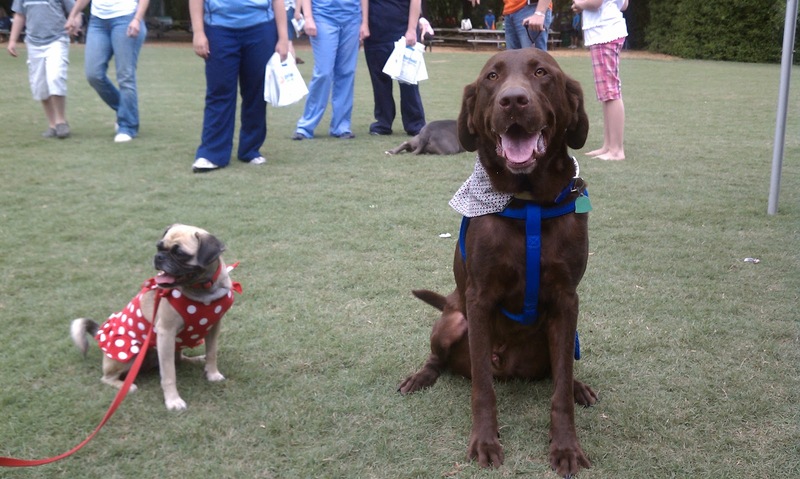 Zeke and his friend Sparky went to 2012 CCPRC Pet Fest together this year. Here they are posing in front of the PetSmart tent. I think Sparky makes Zeke look huge from this perspective. 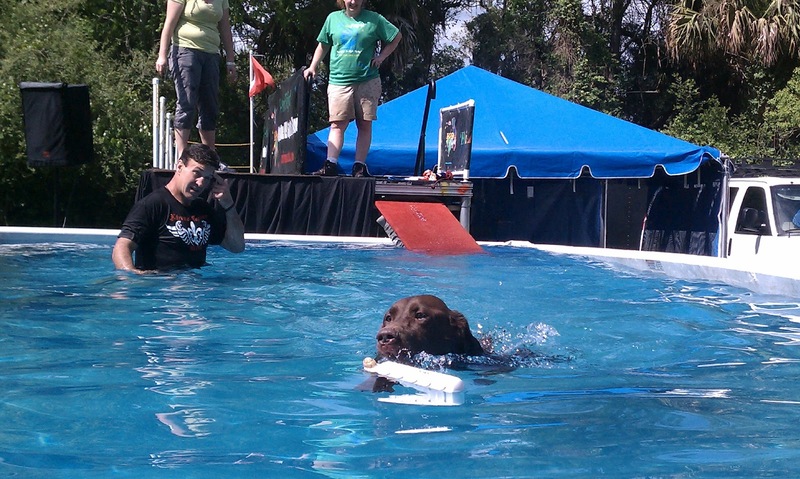 Zeke donated $5 to Humane Net for a chance to try out the dock dogs pool. 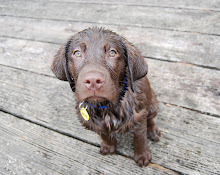 Zeke opted to take the ramp instead of a jump, but had a good swim anyway. 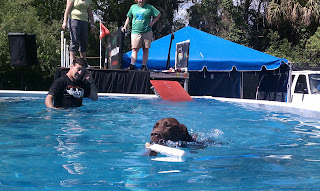 He also got some cool free stuff from other vendors, I think our favorite was the portable waterbowl from Veterinary Specialists.